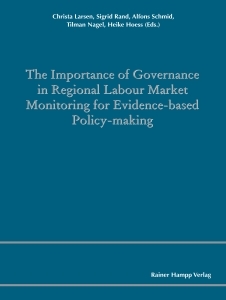 Information resulting from the monitoring of labour markets is an important source for evidence-based policy-making. However, local and regional labour market observatories often find it difficult to impart their information and knowledge to decision-makers so that it can be incorporated into the policy-making process. This anthology explores the mechanisms, which ensure the relevance of labour market information for policy-makers on the regional and local level. It presents cases of regional and local labour market observatories that have been successful in transferring their monitoring information into policy-making. In the descriptions of the cases, concepts from governance research are used to analyse how the successful connections between data provision and evidence-based policy-making are implemented.